Brose has invested around 40 million US dollars in the production plant in New Boston. The plant is close to Brose customers Chrysler and Ford. At the end of September Brose officially opened its new production facility in New Boston (USA). 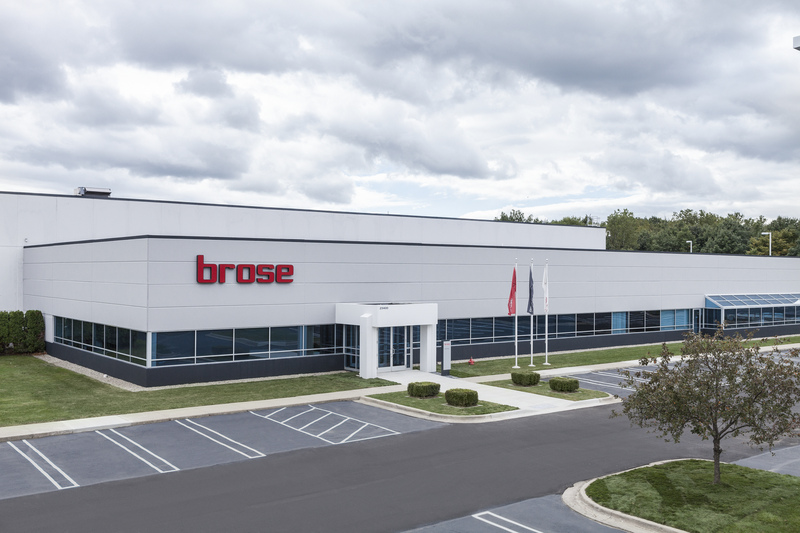 The new plant is the third Brose location in the state of Michigan, alongside its North American headquarters in Auburn Hills/Detroit and its plant in Jefferson, and it is the eighth Brose location in North America. The decision to expand production capacity in the region was based on new customer projects from Chrysler and Ford in the product groups door systems, seat adjusters and liftgate drives. Brose has invested around 40 million US dollars in the plant, which has created 450 new jobs in the first phase of its development. Jan Kowal, President Brose North America, praised the positive economic climate and business-friendly policy in Michigan. “We will be expanding our activities again in the future and plan to invest a further 100 million US dollars and create 400 more jobs by 2020 as we keep pace with the growth of our customers.” Brose has managed to expand its activities in North America constantly over recent years and generated turnover of 1.44 billion US dollars in 2013. The forecast is for 50 percent growth by 2019. To achieve this, Brose needs long-term customer relationships, which Jörg Graichen, General Manager Brose New Boston, intends to secure through a broad product portfolio, top quality and excellent delivery service: “Production has started, volumes are increasing, we are ready,” he announced.